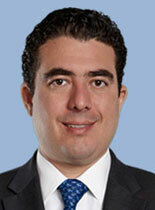 ScottHulse Mexico licensed Attorney, Javier Lopez de Obeso, contributed on the article “Bright Ideas? AMLO’s Electric Power Plans”, a publication by BN Americas. The article provides the insights of the Mexico’s president-elect Andrés Manuel López Obrador plans for the future of the country’s electricity sector.